Waris Dirie ran away from her oppressive life in the African desert when she was barely in her teens, illiterate and impoverished, with nothing to her name but a tattered shawl. She traveled alone across the dangerous Somali desert to Mogadishu—the first leg of a remarkable journey that would take her to London, where she worked as a house servant; then to nearly every cor Waris Dirie ran away from her oppressive life in the African desert when she was barely in her teens, illiterate and impoverished, with nothing to her name but a tattered shawl. 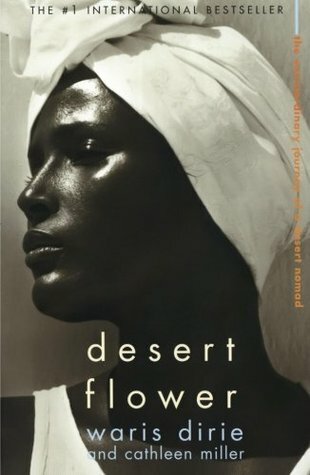 She traveled alone across the dangerous Somali desert to Mogadishu—the first leg of a remarkable journey that would take her to London, where she worked as a house servant; then to nearly every corner of the globe as an internationally renowned fashion model; and ultimately to New York City, where she became a human rights ambassador for the U.N. Desert Flower is her extraordinary story.